Given the range of preferences within the electorate and the House of Commons, the numerical weakness of the government and the priorities in Brussels, agreeing a deal between the EU and the UK following the outcome of the referendum was always going to be difficult. The situation did not need the constitutional clutter introduced into the negotiations by the ‘special status’ afforded to the possibility of a hard border in Ireland and threats to peace. Equally problematic is the extent to which this negotiating tactic has been embraced by Europe and the Irish government. Whoever advised this has ignored the conventional wisdom of taking care when dealing with politics in Ireland not to ‘spook the horses’ and avoid coming close, intentioned or otherwise, to those wedded to predatory politics where Brexit debates become code for a border poll. The Dublin government and the EU in their continuing resolve to force the issue are at risk of being seen as ghost-writing an agenda engineered to deliver an outcome outside the immediate issue. Prior to the outbreak of conflict from 1968 onwards, motorists crossing from Northern Ireland into the Republic of Ireland carried a passbook which had to be stamped at a Customs Post where an occasional inspection of a car boot by a Customs Officer might take place. No one needed a passport and driving licences were rarely checked. The passbook was eventually replaced by a triangular certificate displayed on the windscreen of a vehicle and usually resulted in being ‘waved through’ by a Customs official. This is not a hard border and since none is likely to return it would be helpful to drop the term and the posturing which it encourages. It was the outbreak of 30 plus years of armed conflict and the use of the Republic of Ireland as a base from which to wage war that changed this. Many of the Customs posts disappeared to be replaced by watchtowers, barbed wire, barriers and military checkpoints. 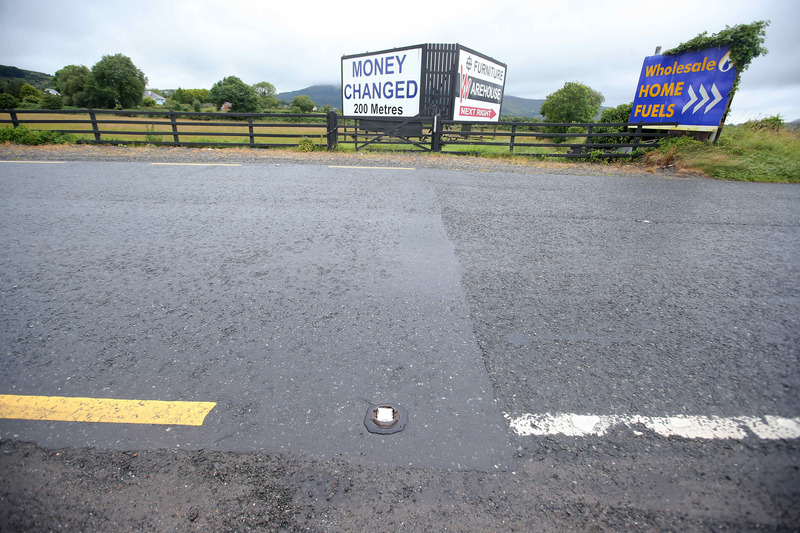 This was the hard border which having largely disappeared required the government in Dublin to impose checks on vehicles during an outbreak of ‘foot and mouth disease ‘in the United Kingdom. Nowadays passports are checked on arrival at Dublin airport and passengers carrying items which could contaminate food are asked to report to the appropriate officials but this does not cause undue ‘friction’. Why not work to keep it this way through goodwill and compromise in the same way that a CTA is agreed and citizens from the Republic of Ireland are afforded exemption from immigration measures which may be put in place in the United Kingdom post-Brexit? It would appear there is room for flexibility within the mosaic of EU relationships when it suits. To insist on referring to a hard border is in itself to deploy emotive and politically loaded language. It is a stance which may prove corrosive on attempts to promote reconciliation on the island, has played into the hands of the DUP and placed unionists who did not vote to leave and remain focused on building a better future for all, feeling vulnerable to regulatory capture and whittle-down consent when pragmatic alignment and mutually beneficial trading arrangements are clearly better outcomes. That this is happening against a background of calls for ‘joint sovereignty’, border polls and tin ear anti-British rhetoric, seduced by office and the allure of power in the EU parliament, serves only to harden resolve. As recognised by John Hume many years ago when he spoke of uniting people and avoiding ideological conflict, coercion, soft or hard, does not always work in ways anticipated by its advocates. You cannot change opinion through self-justifying the exclusion of the other’s priorities to render them invisible, any more than you can shake hands with a closed fist. That is not the way to sow the seeds of change and reconciliation. Entrenched Irish nationalism defines Ireland by ‘what it is not’ instead of respecting the expressed constitutional choices of a diverse electorate as a basis for positive engagement to nurture an agreed community within the different jurisdictions and let a better future evolve. This is not an inclusive or reconciliatory agenda and has already been a source of too many conflicts. It is regrettable that the EU and the government in Dublin have allowed themselves to be persuaded that the border issue is the card to play. The division which this is producing is amply displayed in recent polls and contrary to some statements is not just a problem for Westminster to resolve. Historically, the EU through its excesses and flawed decision-making has been a major contributor. The outcome of the Brexit referendum is a hard swallow for Ireland North and South but producing deadlock will not serve anyone’s interests in the long term especially where there is a deficit in calculating the systemic risk which may ensue. Valid as it may be to prioritise and ring-fence the economy in so far as this is achievable, this cannot be the only consideration and the need to energise towards reconciliation on the island cannot be pushed off the agenda. When we see a Conference being organised to discuss ‘Beyond Brexit’ from which political and civic unionism is excluded, this seems to indicate that it is informed by one preferred constitutional aspiration promoted in a way that is likely to increase communal antagonism. The better option is to build respectful political activism based on mutually beneficial social interests and realities but it would appear that this is not where nationalism buoyed by Brussels and Dublin, wants to go. Ironically, with diminishing neutrality, they choose and promote the wrong option in the name of protecting the Good Friday Agreement. Without challenge, this will write a requiem for reconciliation or at least push it into the future. January 22, 2019 in News & Current Affairs.